12 for $140.00 total Need more quantities? This brilliantly colored mix produces blooms in shades of fiery red, orange, and yellow in June and July, and they add sizzle to the hot-colored border. They are also magical with Delphiniums and shorter Grasses. A favorite of butterflies and other beneficial insects. Because we cannot guarantee the complete assortment of bloom colors in this seed mix, we offer the plants in multiples of 3 in order to help provide a sampling of the full color range. For more information on the growing and care of Asclepias, click Growing Guide. I am so disappointed. I bought these for my mom last year for Mothers Day. They were approximately three inches tall when she received them. They did not grow and they barely bloomed. 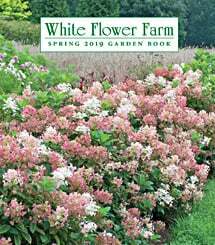 I will never buy anything else from White Flower Farm. I am sorry to learn the Asclepias purchased in 2018 did not survive. As all of our perennial plants are guaranteed for a full year from the time received I will be contacting you via email regarding compensation. Harder to establish but thrive after... the caterpillars they attract are Monarch's! I think these plants are difficult to establish. I've had a high fatality rate for new plantings. Once established and the weather warms up they do quite well. Once commenter said sadly that there caterpillars eating the plant late in the season. These plants attract Monarch Butterfly Caterpillars! The beautiful Monarch butterfly is threatened and the Monarch's will eat both the nectar as well as lay their eggs on the plant which when hatched then feed on the plants leaves. It's all good - they need food to grow into butterflies! This has been a real treat watching in my yard. While the plant takes some effort to get established and is pricey, it's all worth it if we can help the Monarch's. I've ordered from White Flower Farm several times and have been very satisfied with the health of the plants I've received. This year I ordered a butterfly collection. My only disappointment is that all three asclepias have orange blooms. The variety of color is what I found desirable when I placed my order. We are so sorry to hear that the mix didn’t work out as hoped in the garden, we understand how disappointing that can be. Our offering comes from a seed mix, which has a natural variability to it. To increase the odds of getting a wider color variation we do sell the mix in multiples of three but even then, color variation can’t be insured. I was excited to find these at WFF, as I had originally seen them near the road where I walk and wondered what they were. They grew well, but this summer they were attacked from mid-season on by a horrible looking caterpillar that stripped the ends. I am hoping they come back next year, because it was pretty dispiriting to find yet another predator ruining my plantings (the coneflowers I bought from WFF got eaten to the ground once they flowered).